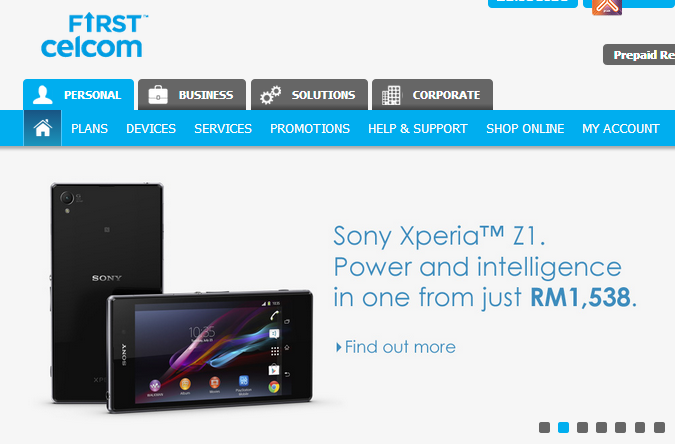 The Sony Xperia Z1 officially goes on sale today, 4 October 2013, but if you do not wish to purchase it at retail price of RM2,399, Celcom has unveiled its postpaid bundle for the latest flagship smartphone from Sony. Sign up for a 12, 18 or 24 months contract under one of its postpaid plan and purchase the Sony Xperia Z1 from as low as RM1,538. Celcom did not state on its website whether or not the Xperia Z1 they offer will come bundled with a free magnetic charging dock but according to Sony Malaysia, the device should come bundled with the Magnetic Charging Dock DK31 and will be available in three colors – black, white and purple. 3 months of free music streaming powered by Akazoo, a social media music app which comes preloaded in the device for purchases made from October to December. Users will have unlimited social music listening with acess to a huge catalogue of tracks during the promotional period. Xperia Z1 users will also be able to download up to six movies for free through Movie Privilege, available through the Xperia Privilege app that is also preloaded in the device. Movie downloads will be available from 1 November to 31 December 2013. 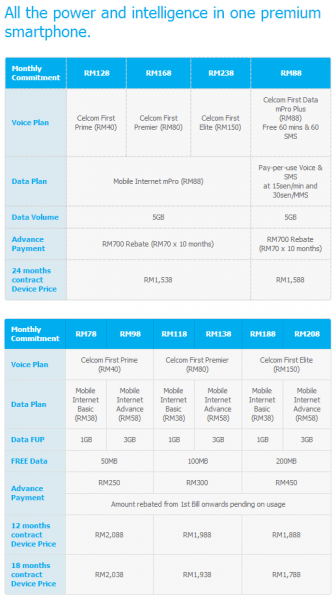 Check out Celcom for more information about the postpaid phone bundle or visit a Celcom store to find out more about what they have to offer.